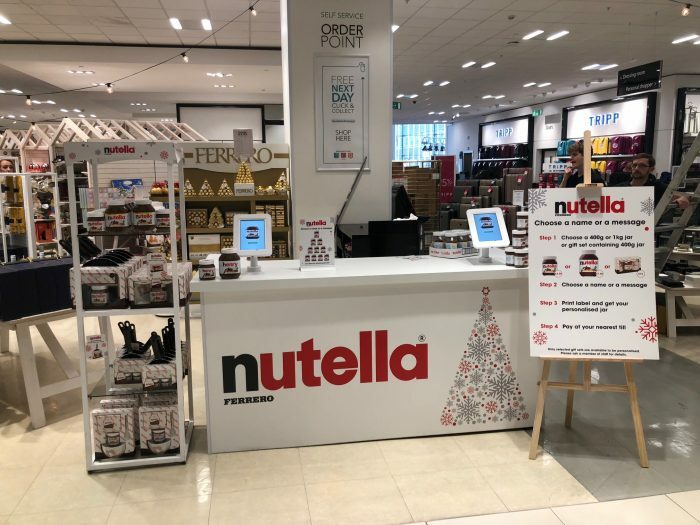 Following on from a hugely successful campaign in 2017 in which 22 stores offered Personalisation for 6 weeks pre-Christmas, Debenhams were very keen to work together with Ferrero and Three Point to make the campaign bigger and better than ever before. 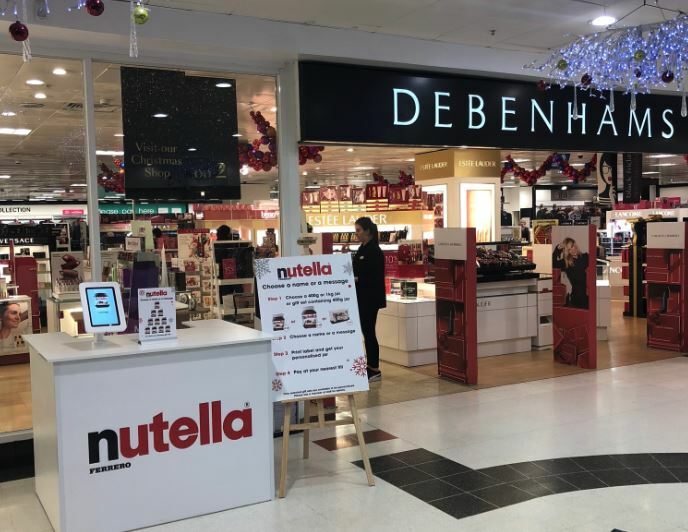 This year’s ambitious plans has seen Personalisation Counters installed at 60 stores across UK and Ireland, to provide the greatest opportunity for Debenhams customers to be able to purchase in-store. 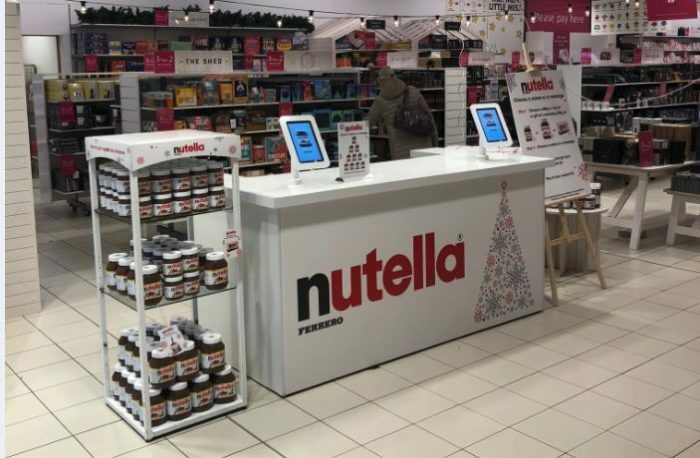 Nutella jars are personalised by customers using a tablet based application to design a new name label themselves, which staff then print and apply onto the jar. Three Point produced a bespoke counter with an area for customer selection and service, housing all the IT equipment as well as storage. 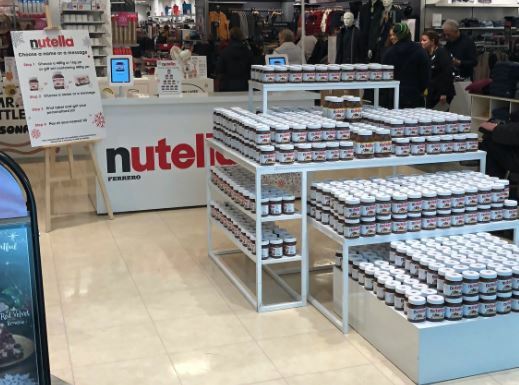 The Christmas range also offers the opportunity to personalise nutella 400g in a gift set. 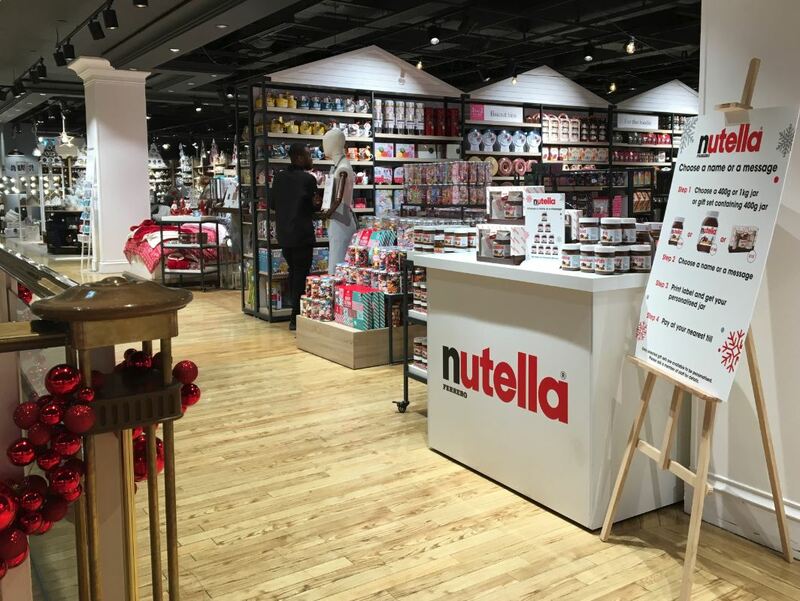 Precise in-store location was negotiated with all stores to achieve the highest footfall to maximise customers awareness of the unique gifting possibility. 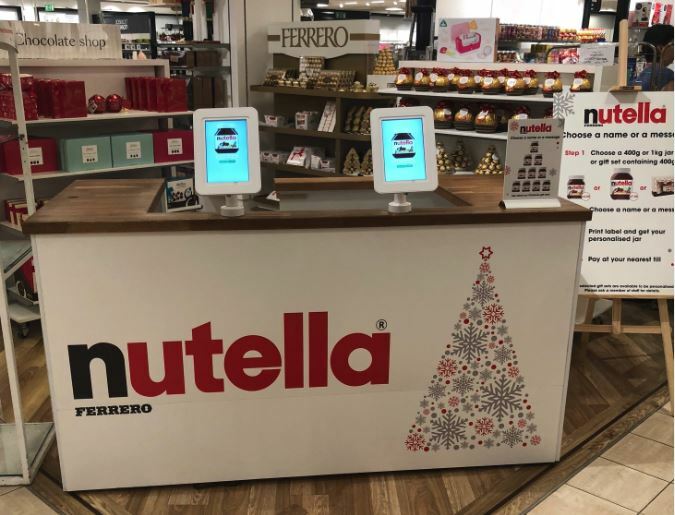 Some stores have even agreed space in the Shopping Mall approach to extend their retail footprint and use this as a tool to build on their customers shopping experience and drive new customers into store.